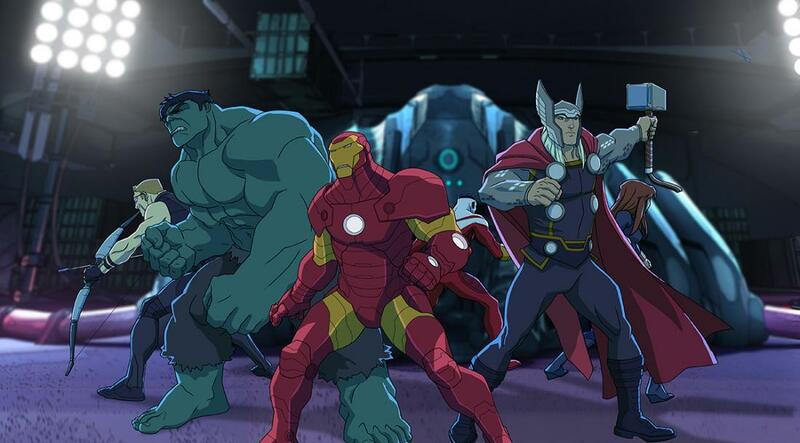 Disney XD, Marvel Television and Apple are offering the 22-minute series premiere episode of Avengers Assemble as a free download via iTunes. The animated series, which features the Avengers movie lineup (plus Falcon) and serves as a replacement for The Avengers: Earth's Mightiest Heroes on Disney XD, will debut on May 26 (Sunday). Iron Man joins Captain America, Thor, Hulk, Hawkeye, Black Widow and Falcon as they assemble to fight the foes no single Super Hero could withstand! Now, they must battle a team comprised of the planet's most dangerous villains, The Cabal, a group joined together under the leadership of The Red Skull. The episode offered, while a standard-length 22 minutes, is marked as Part 1--so it isn't all of what you'll see this weekend. Still--a pretty good preview.